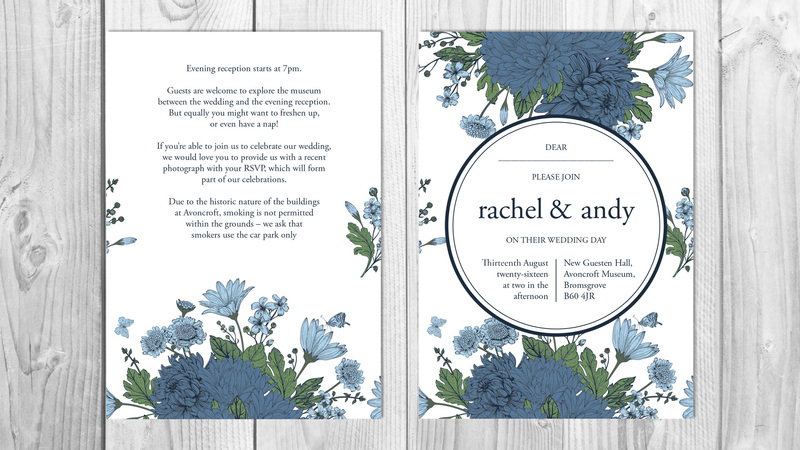 Rachel very much wanted wedding invitation designs that were unique and that no one else had for her marriage to Andy. She had started using Pinterest to collect examples of the style and look of certain elements of her wedding. She knew she wanted to incorporate half-Scottish Andy’s Douglas Modern tartan somehow in the décor for the day. Ilona Design created 3 different styles based on her Pinterest research – a chalkboard design, tartan design, and floral design. Their favourite of the three initial concepts was the floral design. The floral theme was then developed with experimentation in layout, typeface, and floral style. Colour was applied experimentally to fit in with the Douglas Modern tartan colours of dark blue and green. The chosen development had a circle to frame the text, symbolising wedding rings. 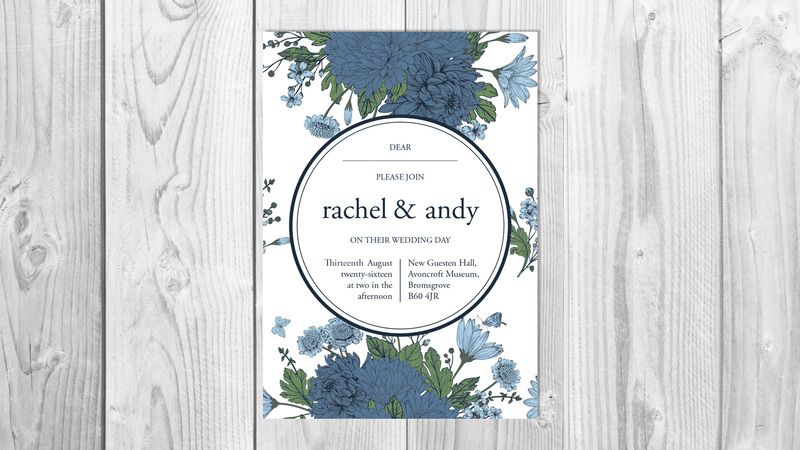 Once the layout and style was chosen, we then created different colour options, from which they chose the final design: a beautiful, feminine and modern wedding invitation, unique to them and including their Douglas Modern tartan colours. 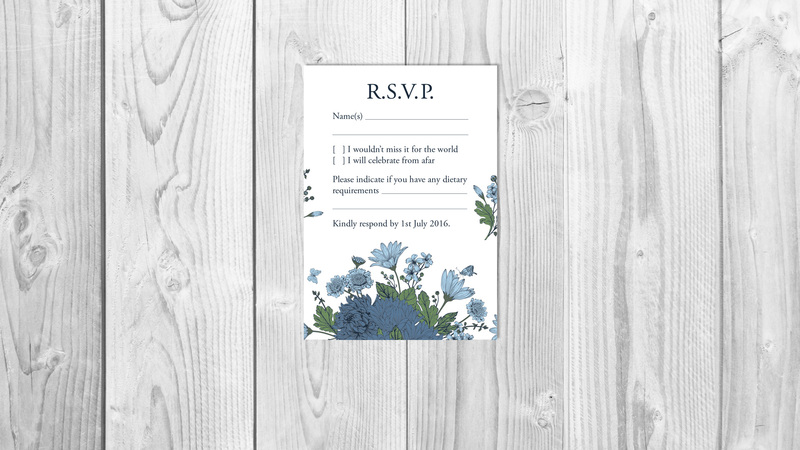 Ilona Design created amazing wedding invitations for us and everything was perfect. The design was exactly what I was looking for, even though I didn’t know at the time. Louisa took elements from my Pinterest board and made something so perfect that I was amazed when I saw them. Nothing was too much trouble and Louisa kept me fully informed throughout the process. If you want a design that is classy and gorgeous, then Ilona Design is definitely the company that you need.